I love learning new things to improve my skills or just acquire new knowledge about things I am interested in. The challenge I face and I think many of us can relate to, is finding time to dedicate to learning. 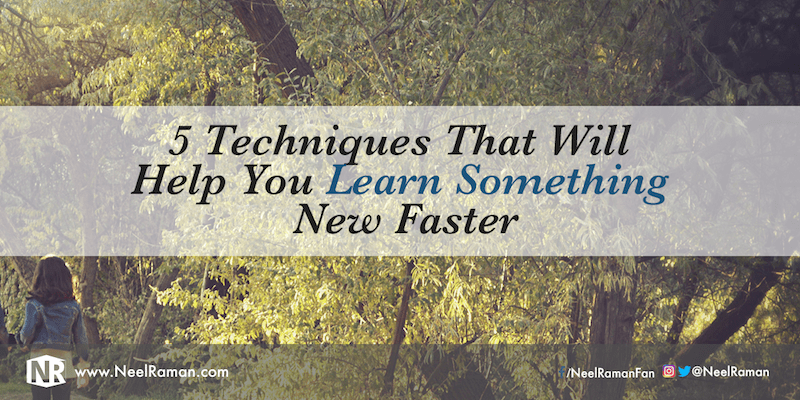 Often I don’t give myself enough time to learn something new, which extends how long it takes to learn it. Find ourselves not keeping up with changes. Easily get frustrated with ourselves. Lose interest and motivation easily. Have many unfinished projects or initiatives. Feel we are not growing or making progress in life. Our ability to continually learn and grow is vital to our happiness and overall sense of fulfilment in life. I recently created an online course titled, Your Next Big Breakthrough, which provides a system to identify the breakthrough that will quantum leap an area of a person’s life, then provides the strategies and techniques to achieve it. In order to create the course, I had to learn how to use a program called Screenflow. Although I had the Screenflow program for a number of years, I never used because I didn’t have a need to. In hindsight, had I learned how to use the program sooner, I would have used it more often than just for my online course. Recording a slide presentation using the program. Editing the recording with some basic transitions and callouts. Importing other media into recordings. Exporting the edited recording into the file formats I wanted. By focusing on these things only, I was able to learn them in around five hours by watching some tutorial videos and practicing as I went along. The more I practiced doing these things, the easier it became. I really did surprise myself as to how quickly I reached a level of proficiency with using Screenflow. Learning something new does not have to be difficult or challenging if we know how to go about it. 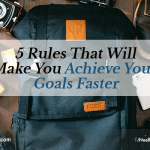 Here are five techniques that will speed up our learning ability and help us achieve what we want faster. Chunk the desired learning into smaller objectives. The best way to tackle a big objective is to break it down into smaller chunks. These are often known as learning objectives. The clearer we specify what our learning objectives are, the easier it will be to identify relevant actions steps to take to meet those objectives. Apply the 80/20 rule. Many years ago, a man named Pareto introduced an idea that 80% of our results will come from 20% of our efforts. When it comes to learning something new, our learning objectives can be the 80% we need to learn in order to reach a certain level of proficiency. Our focus should then be on the activities that will quickly help us achieve those objectives. Immerse yourself in what you want to learn. This is where having an obsession with what we want to learn will be crucial. Unless we just “jump in” and start applying what we are learning, we can lose progress very quickly. As most of us learn best by having a go, we should not be afraid to make mistakes along the way. All our mistakes will help learn what we want to faster. 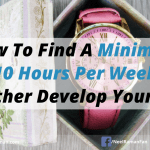 Invest in a course, mentor or coach. Learning something new on our own is very challenging. This is why we have educational institutions along with training and coaching organisations. Having someone guide us during our learning stages will accelerate our progress. It will also make the learning process more enjoyable. Track your progress. We cannot improve what we don’t measure consistently. This is why having some sort of a tracking or review process is really important when we are learning something new. 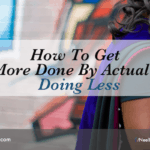 An example of something we can track is simply how many hours we spend on what we want to learn compared to how many hours we actually intended to spend. By tracking our progress, we can make the necessary adjustments to ensure we continue to stay on track to achieve our learning objectives. Continuously learning is critical to our long-term success especially in such fast changing times we live in today. The better we can apply techniques to become more confident learners, the better it will serve us. If we are not willing to learn new things, we will find ourselves lagging behind as new things are continuously introduced. Action Step: Apply one of the techniques mentioned above to something new you are learning or want to learn. 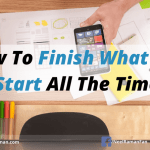 Over time, start apply all of the techniques so that you can achieve your learning objectives faster. Question: What is another technique that can help us learn things faster?